Having the right kind of shoe is an important part of life, especially for kids. Unfortunately for our family it’s not always as easy as going to the store and finding a pair of shoes that look nice or comfortable. My side of the family have been blessed with awkward shaped wide feet so finding shoes that fit can be a bit of a challenge. With Stride Rite you will not only find kids shoes that fit but they are comfortable, well made and stylish too. 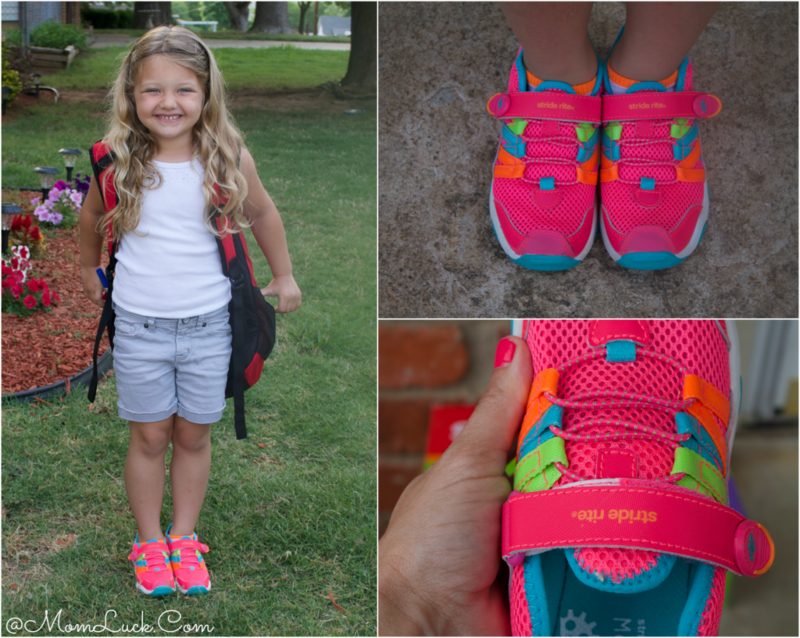 This past week my kids got a chance to try out some of the newest styles from Stride Rite and with summer now in full swing they couldn’t have come at better time. These colorful summer sneakers are bright and made with a leather and mesh upper that’s completely machine washable and quick drying. We play ALOT outside in the summer so the fact that we don’t have to worry about Aubrey ruining her shoes is a major plus for me! The shoes also feature a dirt-shedding outsole, anti-stink linings, reinforced durability at the toe and a convenient hook-and-loop closure for adjustability. Aubrey, my little girly girl, received a pair of the Made 2 Play™ Aqua Water shoes. Aubrey is one of those kids who loves to go barefoot. She hates the restriction that normal sneakers feel on her wide feet so it’s been a real challenge to find her shoes that she can actually wear and feel good in. With these new sneakers she hasn’t complained one time about not wanting to wear her shoes. They protect her feet but feel good at the same time, she really loves them. My son Jeremy is a bit more of a challenge when it comes to the look of shoes. He is about to enter 5th grade and looks and style are starting to become more important for him. Luckily Stride Rite has the stylish part covered with their Made 2 Play™ Finn summer sneakers. 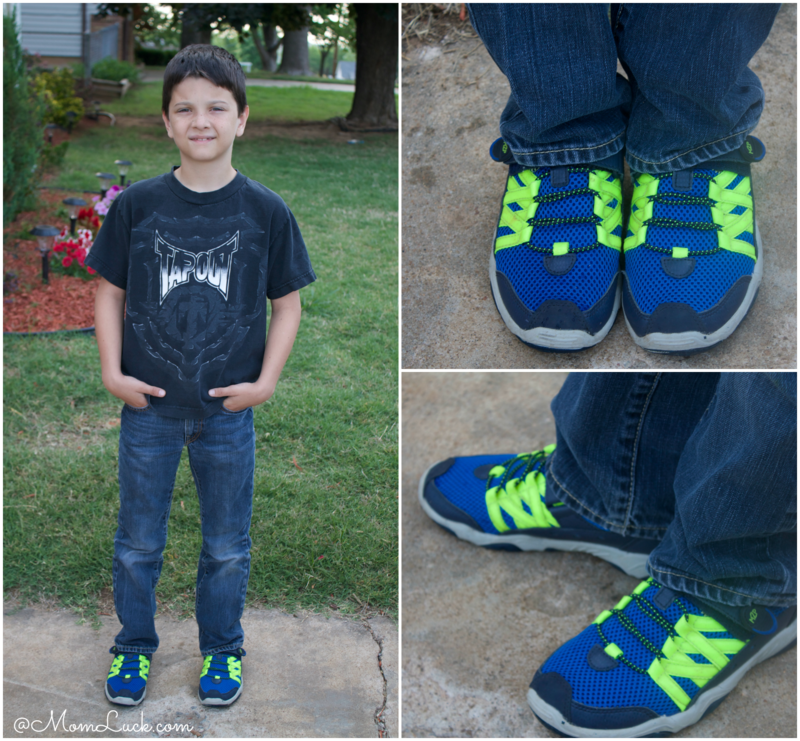 Jeremy proudly wore his new sneakers the last week of school and had no complaints! In fact he kept telling me how comfortable they are to run in especially at the playground filled with rocks. Both of my kids are happy with their new sneakers from Stride Rite and I am happy that my kids have shoes that are good for the growth of their feet! 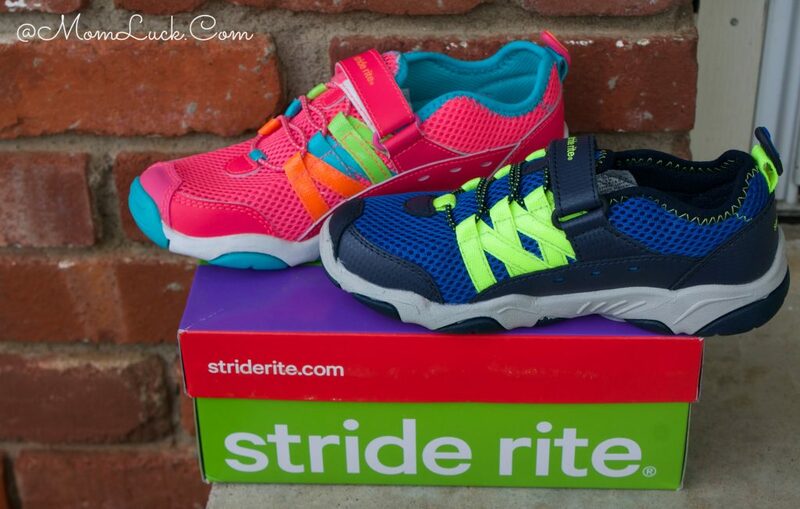 For more information on Stride Rite and to check out their awesome styles, including the Made 2 Play shoes featured in this review, be sure to visit them online at http://www.striderite.com/. Jeremy please wear your stride rite sneakers barefoot!